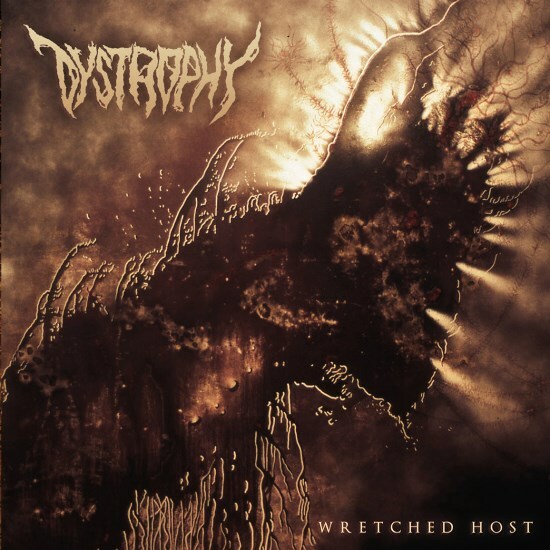 New Brunswick, New Jersey-based technical death metal quartet, Dystrophy, has just signed a deal with Selfmadegod Records to release their second full-length this November, the album bearing the title Wretched Host. 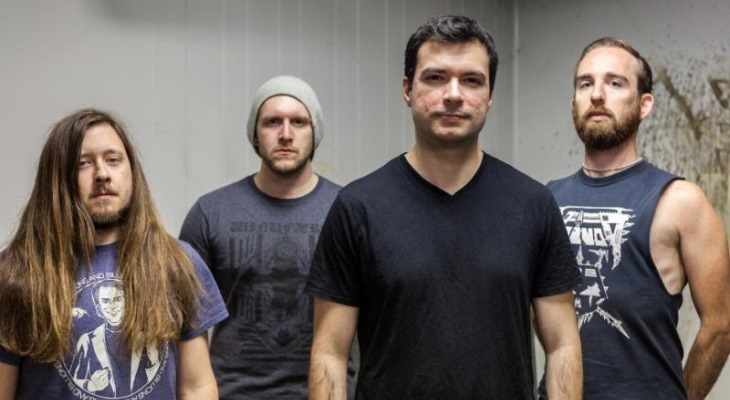 Formed in 2007, Dystrophy was spawned from a DIY ethic that has stuck with the band to this day. Progressing from the rapid technical approach of their first album, 2010’s Chains Of Hypocrisy, Dystrophy has since refined their style, and on Wretched Host the band weaves an intensely personal tale of mental health into a savage and dissonant style of technical death metal. The album was tracked and mixed at One Stone Recording Studio, and mastered at West West Side Music. Initially self-released in June with a small amount of copies made available directly from the band, a few months later Wretched Host caught attention of Polish label Selfmadegod, which lead to signing official deal and proper worldwide release. The band’s forward-thinking and procedural death metal that will appeal to fans of Death, Gorguts, Atheist, Voivod, Ripping Corpse, Humans Remains, Deathspell Omega and the like. Wretched Host will see release on CD/digital formats in Europe on November 16th and in the US on December 1st. Pre-orders are available now via Selfmadegod on CD HERE and digital download version HERE. US CD preorders will be available from Selfmadegod’s stateside partner, Earsplit Distro, in November. Many SMG titles are already available stateside HERE. Stand by for additional audio samples from Wretched Host, tour dates for Dystrophy and more in the days ahead.